#9 Joy From Fasting To Feasting !!! Today iam going to show case recipes from Yasmeen’s Health Nut blog. The name speaks everything. This blog mainly concentrates on healthy recipes. The tag line of the blog says “Are you eating nature’s best?” Hmm think about it. If you are in a mood to change your diet plan to healthy recipes then this blog has so many recipes to offer. Yasmeen says, A Health nut living in the world where a bag of potatoes are cheaper than box of cherries. I realize healthy eating can cost higher but i do believe that it can be affordable by making simple changes. Such as healthier cooking oil and smart choices of nature’s best foods. I grew up as a very healthy child(All praises be to God).Good health is indeed a blessing. I remained healthy in spite of making unhealthy eating choices. But my views about food changed when my little one was diagnosed with asthma at age 3. It was a wake up call for me. Initially i had no clue that food influences inflammatory conditions like asthma ,arthritis ,heart disease, obesity,even some cancer and many other conditions. Through research I discovered diet and exercise can not only improve your aliments but also cure it. Even though you may be healthy now, in order to insure your future health, you need to invest in smart choices of Nature’s best foods. Making simple diet changes helped my little one (now 5) feel better. Learn more from my blog about Nature’s best foods and start making healthy changes in your diet. Ramadan helps me recharge my faith. Growling hungry stomach reminds me about the poor and less fortunate who eat just one meal a day for their entire lives. It teaches me self control and patience and brings me close to God by doing all the things He asked us to do.And continue the lessons learned after Ramadan. Interfaith and community Iftars gives me an opportunity to socialize says Yasmeen of Health Nut. 1. I make either of these two yogurty coolers during Iftar. One is Dahi Vade and other is Dahi Bade. 2. 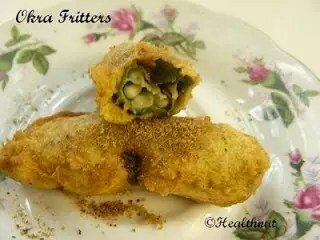 Okra is packed with so many nutrients that makes it ideal Okra Fritters snack for Iftar. 3. 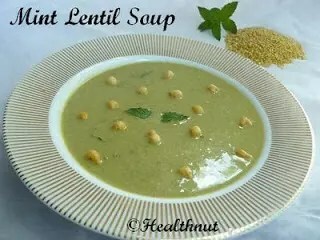 A quick, simple, nutritious Mint Lintil Soup, good for hydrating your body at the end of fast. 4. 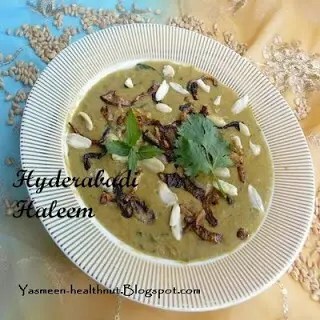 Delectable Haleem is originally a persian recipe and is commonly prepared during ramadan. This spicy protein rich recipe can be lengthy to prepare but does give you a lot of protein power. 5. 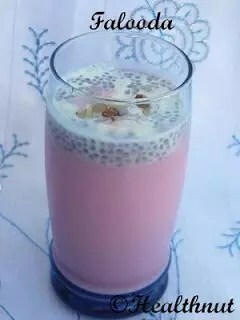 A refreshing drink Falooda. « #8 Joy From Fasting To Feasting !!! Lubna, did my Ramdan wishes reach you???? So many mouthwatering recipies at a time I am drooling now…..Everything looks inviting. Very interesting recipe links. Shall check out soon. hey Lubna, thk u for the link. I thought u received my mail. It was for a recipe exchange program. Anyways will give you another e-mail. Sorry abt tht. everything looks amazing and superb…good entry..
OMG EVERYTHIN LOOKS SO YUM,…I AM DROOLIN HERE…HAPPY FEASTIN,..:-),..I LKE HER RECIPES ALOTZ,..
loved all the dishes. and ramadan mubarak lubna. Thanks for all the useful ramadan info. I’m extremely sorry for being so late in replying. Appreciate all your efforts of posting my favorite Ramadan recipes. Thanks for posting my recipes dear lubna. Thanks everyone for your appreciative comments.